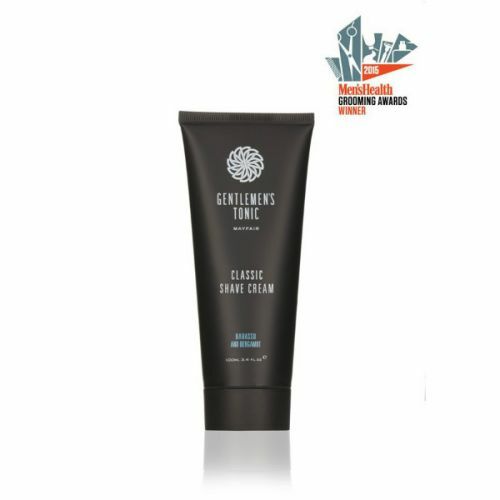 Protect your skin and soften your growth with this exceptionally scented Pre Shave Oil from Gentlemen's Tonic. This lightweight oil lubricates the skin ensuring your blade seamlessly glides across the face with maximum comfort. Developed by their team of Master Barbers, Gentlemen's Tonic have incorporated ultra-nourishing ingredients that leave the skin moisturised and soothed post-shave. Pre Shave Oil is the perfect way to start your shave. Designed with their team of master barbers, Gentlemen's Tonic have created the ultimate product for preparing your skin and beard before shaving. Using exceptional ingredients that lubricate and moisturise you will find your shave is smoother, more comfortable and your skin is less irritated. We are positive you will notice the difference this lightweight oil makes to your shaving routine - it combines perfectly with the other products in the Gentlemen's Tonic exclusive shaving range. Apply pre shave oil and work into the skin and beard to soften and prepare the skin and beard for your shave. Follow with shave cream. Can also be applied post-shave. Was recommended this shave oil by colleague. It's the best I've used. Smells amazing, very masculine smell. Small amount needed. 10/10. This oil makes shaving a pleasure. Smell's incredible, and leaves a moisturised film on the skin. I suffer from razor rash and this has helped significantly. One of best shave products I've ever used. Full marks!